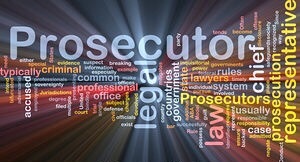 This article will help clients understand what I deal with when working with prosecutors. Stress and fear usually envelop anyone charged with having committed a crime. The frantic search for hope in a dire situation often drives how someone new to the criminal system seeks answers and relief. I certainly understand that, and offer these words to those folks – so they understand what we defense attorneys are working with (and, often, against). First, understand that the prosecutor is an elected official, and his or her employees are representative of the office. All decision are subject to public scrutiny. All records are public. In other words, politics is a part of the process. Like it or not. So prosecutors always have in mind whether there will be any negative repercussions about how they handle a case. No one wants to get called to the boss’ office, nor see their name in the paper regarding a case. Second, understand that the prosecutor is not in the business of dismissing charges. To the contrary, the job is to prosecute allegations of crime. Please do not ask me if your case “can just be dropped”, or if I can tell the prosecutor that you are a good person and this is your first arrest and see if he or she will just let it go. It does not happen that way, sorry. Your good history and character are a part of my presentation, but will not magically impress a prosecutor to simply ignore a police report with your name on it. Please also understand that the prosecutor may not immediately know what has happened to you. From the time you are arrested until the paperwork makes its way to the State Attorneys’ Office (SAO) could be days, even weeks. While I jump on cases right away, it takes time for the prosecutor to get a file and get up to speed. Next, understand that whatever I tell prosecutors about the case will be checked out. Trust but verify, as it is said. Most prosecutors will give credit to what another professional tells him or her (except one I know in Gadsden County, who told me he doesn’t believe anything that comes from a defense attorney – real nice). But as they are bureaucrats and at-will employees of an elected official, they have to confirm things before decisions are made. Prosecutors have many, many cases, and yours is probably not that important to them. What that means is that I often have to make several attempts at contact to get an answer to my questions and to get you information about resolving your case (check this article I wrote years ago, admonishing prosecutors to return phone calls). You must be patient – I keep a running list of which prosecutors I am currently waiting to hear from so I can follow up. Finally, please undestrand that resolving a criminal case necessarily involves a penance . . . a punishment. It is not intended to be comfortable nor convenient for a defendant. Prosecutors generally do not care that you have to take time off from work, or attend meetings or do community service hours at night, or that you have to pay fines and court costs. So demanding that I ask a prosecutor to amend a sentence because its cramping your style is senseless. So, all that to say that negotiating with a prosecutor is a very difficult thing to do. The process is not the traditional postitionally-based negotiation, in that most prosecutors do not take the position that they have something to lose. That’s a whole different blog post, actually! As a Tallahassee criminal defense attorney, I work to present creative resolutions in a professionally manner. If you are charged with a crime in Leon County, we will work past these issues and do our best to “get to yes” as we have for many other clients over the years. The United States Supreme Court struck down the way Florida has imposed the death penalty (a separate jury proceeding after the guilt-phase of the murder trial, those jurors making a recommendation to the judge for or against the death sentence – which did not have to be unanimous, and then the judge weighing and ratifying their decision – or not). The process was deemed a violation of the right to a jury trial because of the involvement of the judge in that last part of the process. The idea is that, as is the jury’s decision on guilt, the decision on the death sentence should be unanimous and without judge involvement. Florida became the 40th state to outlaw texting while driving after Gov. Rick Scott’s signing of a bill today in Miami. The ban goes into effect Oct. 1. Texting while driving will become a secondary offense, meaning law enforcement must first stop drivers for another offense. A first violation brings a $30 fine plus court costs. Second or subsequent violations within five years will add three points to the driver’s license and a $60 fine. The ban includes typing or reading a text while driving. It allows texting while stopped at a red light. It includes tablet computers but excludes using a “talk-to-text” feature. via Bill banning texting while driving to be signed today | Breaking Tampa Bay, Florida and national news and weather from Tampa Bay Online and The Tampa Tribune | TBO.com. via Texting while driving is now illegal in Florida. Connecticut Law Student Anya Bargh was arrested and charged with Harassment and breach of the peace for a series of online statements she has made. They were definitely in poor taste, some offensive, but there was not a pattern of conduct over time that would usually warrant a harassment charge. I won’t repeat them, but you can see what she said in the ATL story. We recently covered an injunction case in Lee County that was based on the new stalking law in Florida, and that speech was not found to constitute stalking by harassment. Speech, even offensive or critical speech, cannot be the basis for a crime: it is protected by the First Amendment. That speech won’t be protected if it is perceived as a threat. Today, the Florida Supreme held that while law enforcement officers properly separated and assumed possession of a cell phone from a defendant’s person during the search incident to arrest, a warrant was required before the information, data, and content of the cell phone could be accessed and searched by law enforcement. Moving the Tampa courthouse to Brandon? No way! via Jury out on moving court to relieve overcrowding | Breaking Tampa Bay, Florida and national news and weather from Tampa Bay Online and The Tampa Tribune | TBO.com.